The Costa del Sol is situated in the most southern part of Spain. Because of the location it makes the area the most desired destination for both expats as well as tourists. The Costa del Sol has guaranteed more than 300 days of sunshine each year and can be reached from most northern or western European countries in less than 3 hours!. 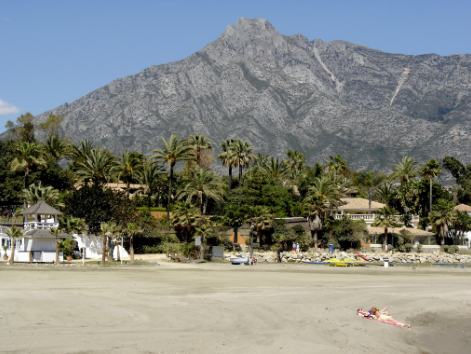 The Costa del Sol enjoys 161 km of beach. Some of them quiet and difficult to reach and others wide and full with beach restaurants and chiringuitos where you can enjoy the Spanish gastronomy and local tapas! There are a huge list of things to do on the Costa del Sol for families with children of all ages! There are several waterparks, zoo´s, cinemas, entertainment parks and during the summer season every town organizes a local Feria. Also lots of watersport activities are available along the beaches in Torremolinos, Benalmadena, Fuengirola, Marbella and Estepona! IIf you are planning to find out more about the area, there are lots of excursions to some of the white mountain villages like Mijas or Ronda. Do you wish to see more of the history of southern Spain, then you can go on a tour along some of the most impressive cities of the country. Malaga, Granada, Sevilla, Jerez and Cadiz are within 2 hours drive. If you want to find out more about specific areas on the Costa del Sol than please ´click´ on the map on the top of this page. Hopefully we will see you here soon!